For 1965, Cadillac announced a new De Ville series — now with a capital “D” — that included a convertible and pillared sedan for the first time. This full slate of new De Ville models effectively replaced the former Series 62 line. Subtly but superbly detailed, the 1965 Cadillacs utilized a new perimeter-frame chassis while retaining a 129.5-inch wheelbase. At the front, dual stacked headlamps were featured; at the rear, only a suggestion of fins remained. A more conservative frontal treatment arrived for 1966, along with variable-ratio power steering. Forward-thrusting front fenders and sweepingly sculpted body sides enhanced the sleek appearance of 1967-68 Cadillacs, with coupes receiving a new and boldly formal notchback roofline. By 1968, a 375-hp 472-cid engine — the industry's largest — was standard. De Ville models for 1969-70 showed off stiffer, more conservative luxury-car styling. The 1970 line included Cadillac's new 500-cid V-8 — the largest displacement V-8 ever. 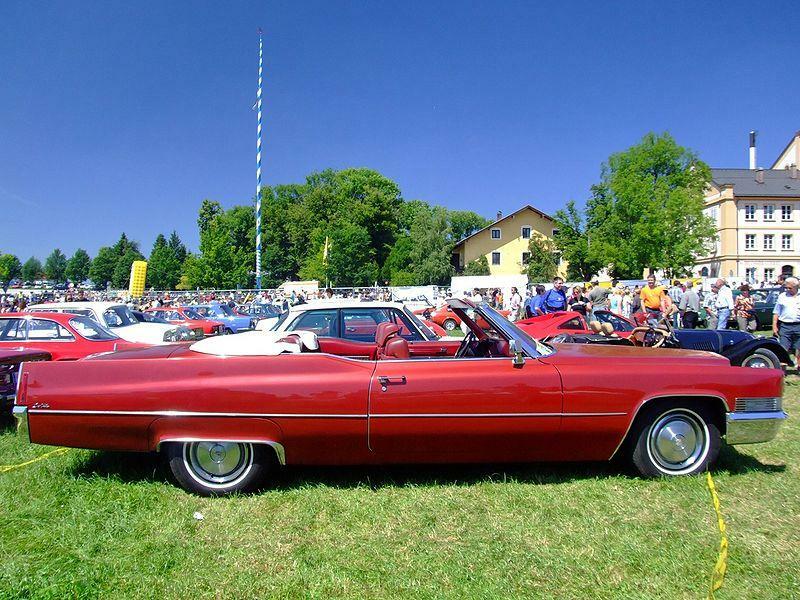 The final De Ville convertible was offered that same year. Cadillacs of this period are increasingly popular with enthusiasts, despite their chronically thirsty mega-V8s and sometimes daunting technical complexity.